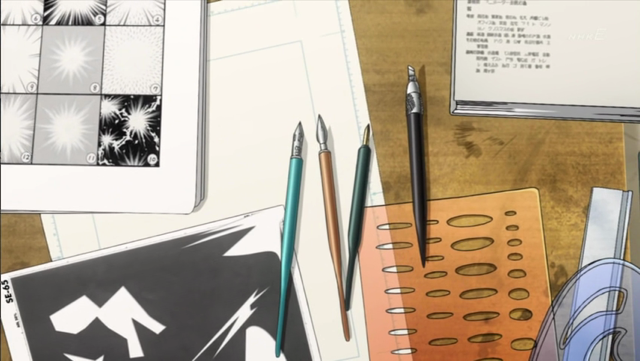 Bakuman episode 4 covers the essential tools illustrators use to create the manuscript from a name. No, I don’t even care about the other stuff. All these tools are described. Screen-tones (from which shapes have been cut). Three types of pens (described in detail below). Reference photography book (top right). Rulers, including straight-edge and “french curve”. Before we continue, some remarks about the work area itself. Notice there is good lighting. 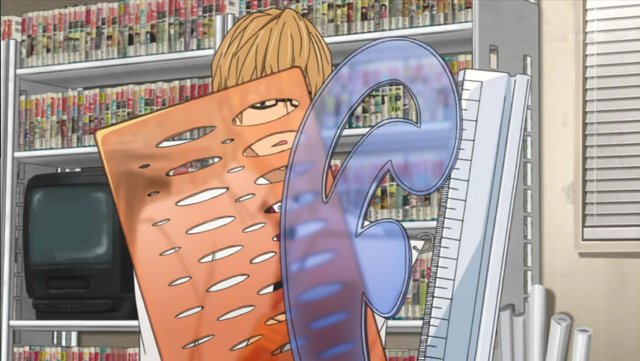 The drawing board is large, and tilted up at the back. Various tools are kept within reach, including the rulers, a large brush (generally to brush off erasure rubbings), and several colored markers. The KABURA pen - good for lines of a fixed width. 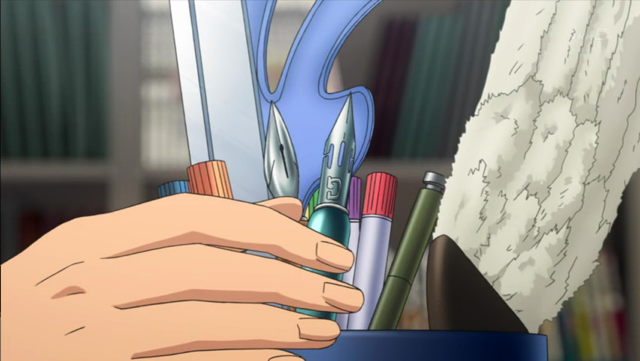 Shuujin calls these pens “dip-style” because the nib is dipped into the inkwell. Drain the excess before using! 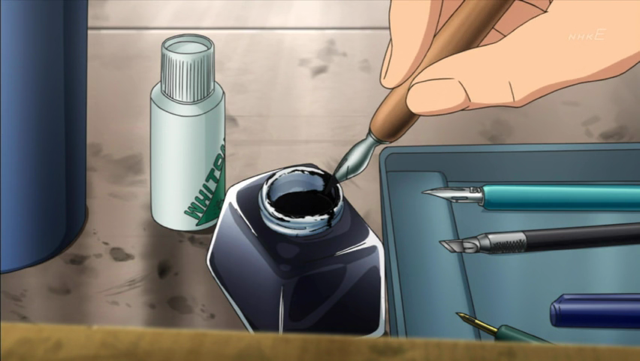 You can also see that Saiko has a bottle of “white-out” (also known as liquid paper) handy to cover minor mistakes. 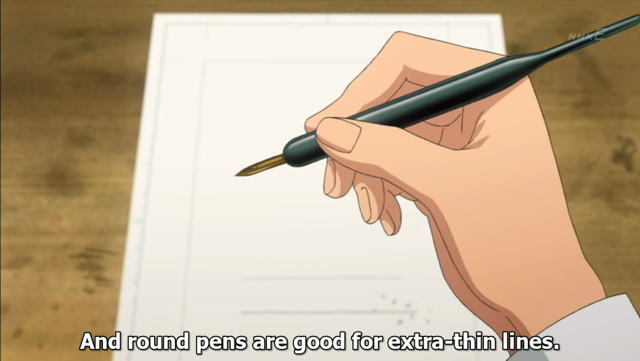 Saiko demonstrates the G-pen (above line made by kabura pen for comparison). 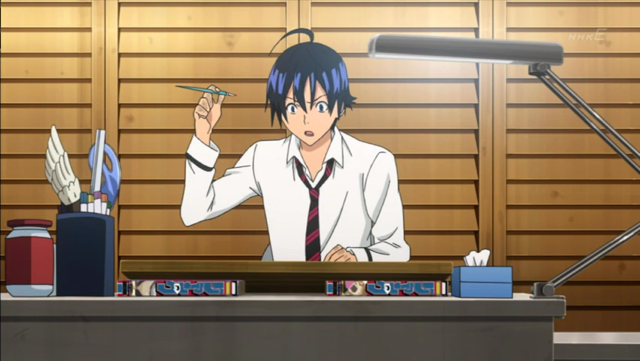 Saiko realizes that to succeed he will need to master the G-pen, which is a much more expressive tool. Because the line width is controlled by pressure, handling the pen is more difficult, and it is also easy to tear at the paper surface. 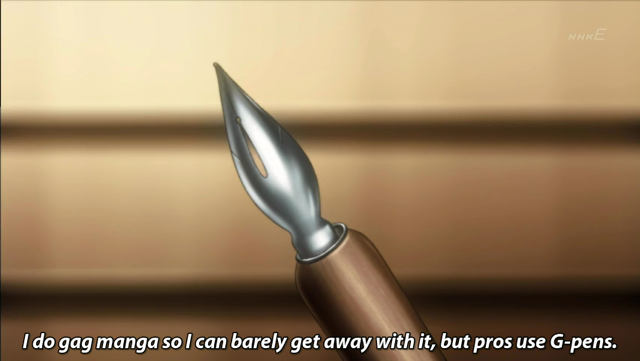 To master the use of this tool, Saiko practices drawing many things. This is the second part of the formula for success his uncle taught him: 1) hubris, 2) effort, 3) luck. The Round Pen in all its glory. 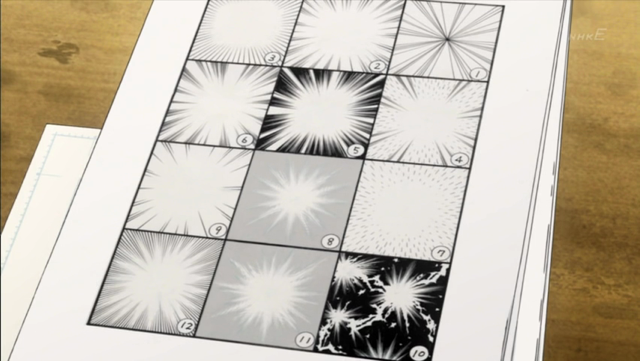 Oji-san used this reference book of effect patterns to communicate with assistants. Similar vocabularies exist for other domains, for example it used to be easy to discuss color by referencing the Pantone color id number. Templates and rulers - archetypes for a visual language. 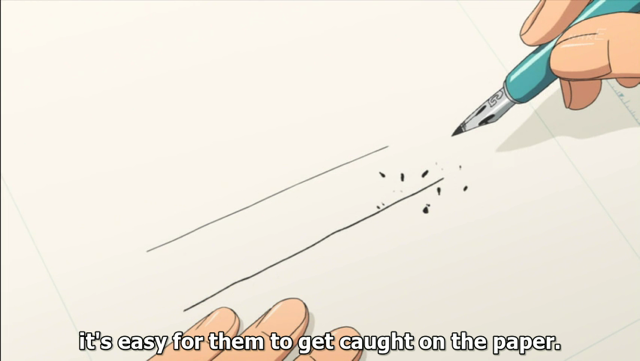 Saiko knows he doesn’t have any assistants. 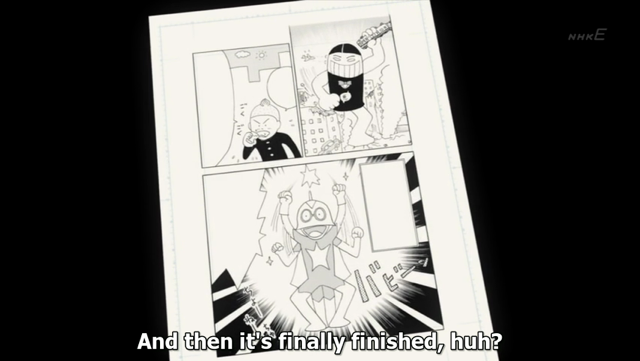 He’ll have to do all of the execution, as well as the planning, at least until they become successful. It all starts with the name (as we learned in episode 2, this is a sketch that precedes the manuscript). First the name is transferred onto a heavier stock of paper with a light pencil. This is where those pens come in handy. The initial sketch is traced with the appropriate pen to add life and detail. 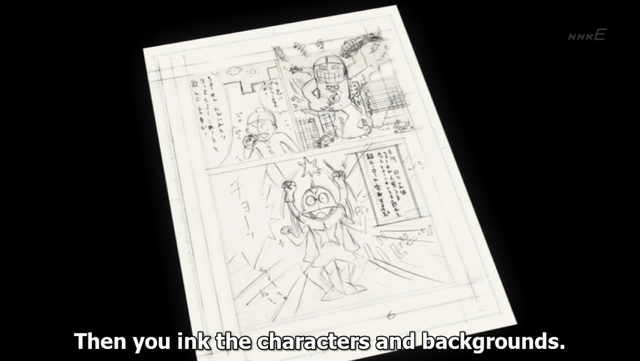 The two versions shown in the example show a lot of changes in the eventual design. Now the screen-tones are added. These can be purchased as sheets, from which shapes are cut as shown above. Notice the “lettering” hasn’t yet been done. 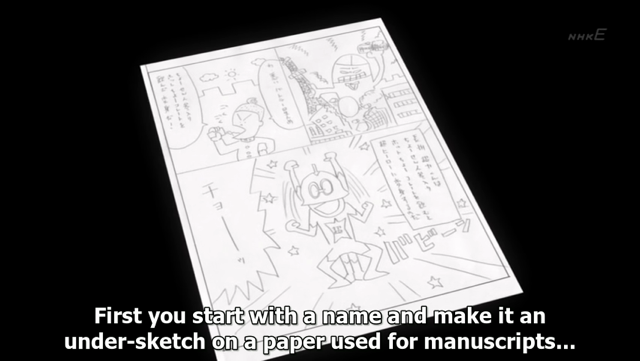 Otherwise, that’s how you make a manuscript. The next step? Getting editorial approval.